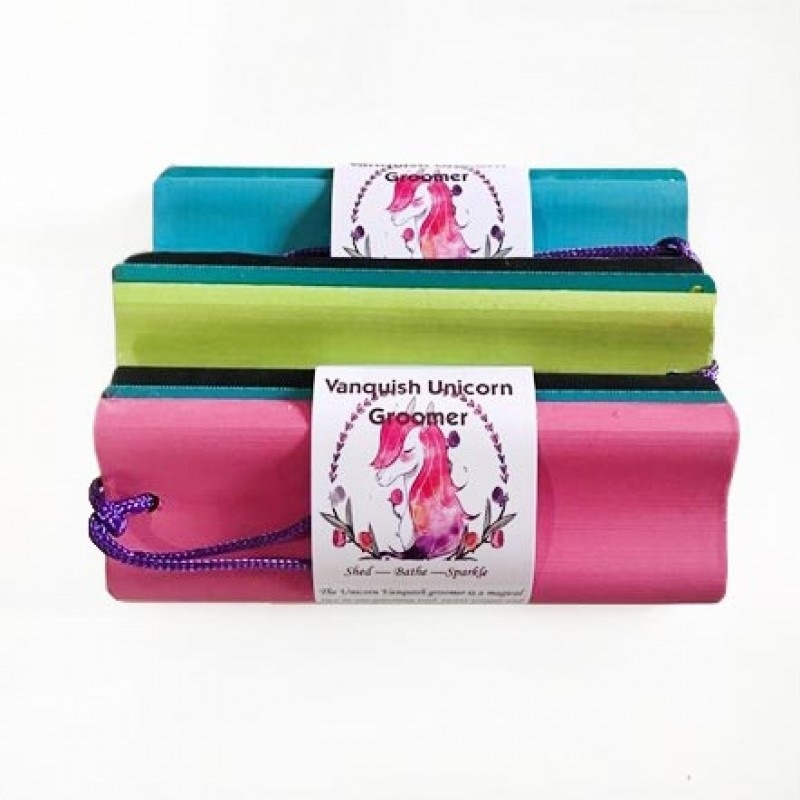 The Unicorn Vanquish Groomer is a tool to remove sweat and loose hair. The blade gently removes loose hairs and fur and the rubber removes any excess water or sweat and helps to remove dirt & dust. Use the groomer at a 90 degree angle on your horse, cat or dog. Comes in pink, green or blue.